Joel is a keen surfer of 20+ years, who is known to get webbed feet at times from excess time in the big blue. If he could sleep in the ocean, he would. Joel is a Mental Health Occupational Therapist, in the past working primarily with young people experiencing First Episode Psychosis. 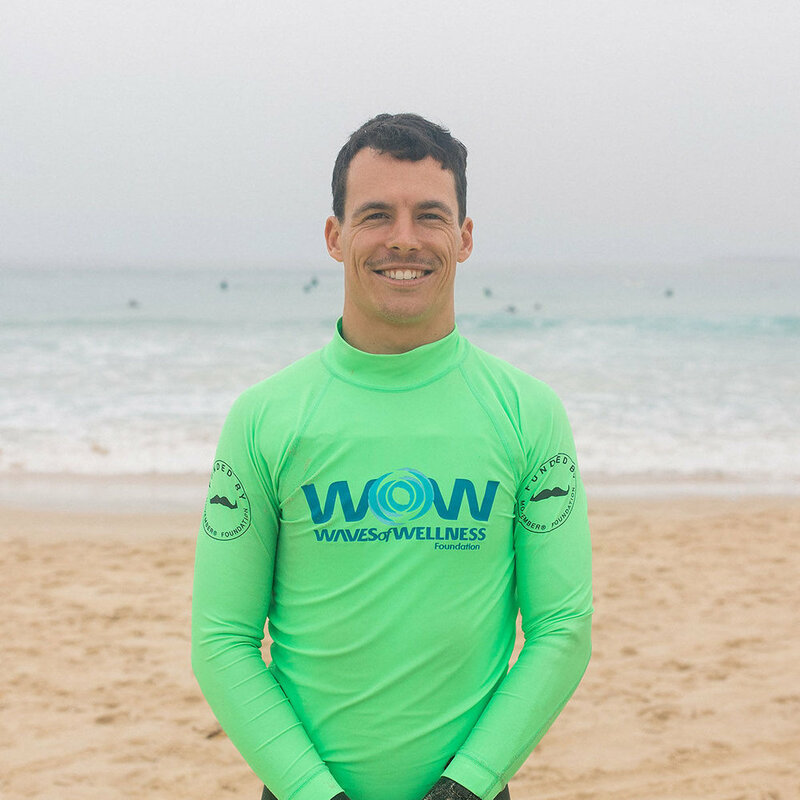 He’s extremely passionate about changing the mental health landscape, and talks surf therapy in his sleep. Our little secret – Joel loves musicals! Mark studied his Masters of Social Work (MSW) University of Windsor, Canada. Growing up Mark would spend all summer in the lakes of Canada and decided to move to Australia to be in the water year round. Now he does whatever he can to get into the ocean. Whether its surfing, kiteboarding, paddle boarding, or just swimming, the ocean is where Mark feels most at home. Mark secretly loves to hula hoop…only it’s not a secret. Dave studied a Bachelor of Nursing at Southern Cross University and graduated in 2006 – He’s been working as a Registered Nurse in mental health for 8 years. He grew up in the Clarence Valley where he spent his time surfing around Minnie Water and Yamba. He loves the personal challenges and self-expression that exists in surfing, plus it’s easy on his old bones. Dave loves the odd childish dad joke. Rohan has a Bachelor of Applied Science (Occupational Therapy). Rohan is an Occupational Therapist with experience working in mental health. 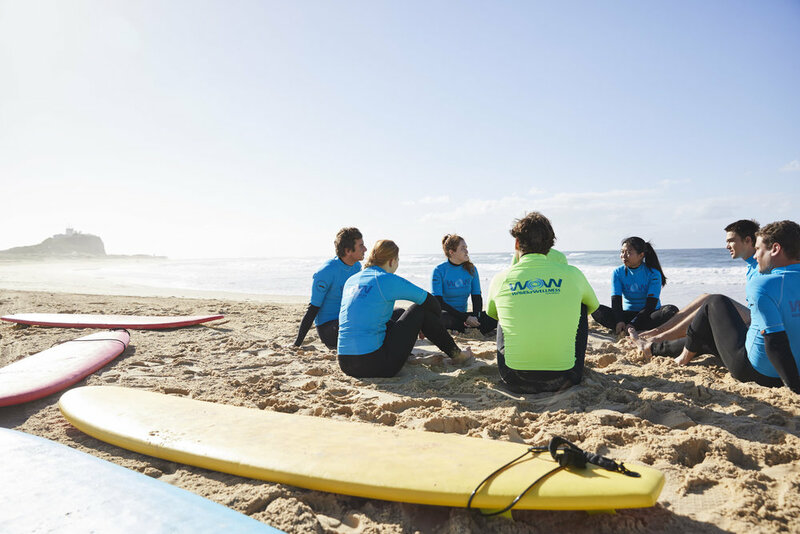 Rohan began surfing at an early age and soon became enthralled with the activity and ocean. Outside of work Rohan dedicates a majority of his time to finding waves and you’ll often find him riding a small board on a fun looking right hander. He’s always got a big smile on his face, and keen to lend a hand, just don’t ask him to touch his own bellybutton. Ben has studied a Bachelor of Occupational Therapy (Honours) at the University of Newcastle. Ben is an Occupational Therapist whose passion is helping others improve their mental wellbeing. 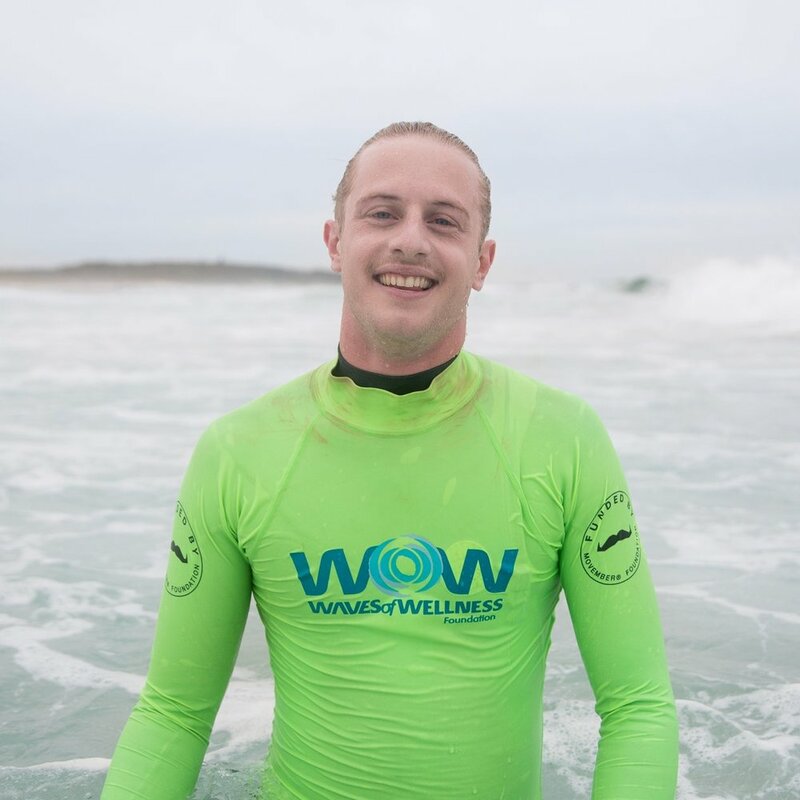 Ben began surfing in Newcastle when his dad dragged him out the back as a young boy and was instantly hooked. The ocean is where Ben loves to kick-back, make new friends and keep healthy. He’s never been more stoked than when he gets to share that love with everyone at WOW. Despite trying to maintain his cool ‘surfer boy’ facade, Ben admits that he’s a giant nerd who is totally obsessed with board games, and hopes to one-day turn pro…in board gaming! Mikayla is the newest member of WOW’s program team. She’s super passionate about mental health and keen to make a big impact in surf therapy. When not surf instructing, Mikayla is a whiz with all things interior design, working with one of newcastle’s top design firms. In-between, you’ll find Mikayla on a vanlife adventure on the road less taken searching for perfect waves. Caroline originates from the UK, and you’ll find her dancing on her surfboard on the Northern Beaches of Sydney. She recently travelled around Australia for 4 months in a van, surfing some of the most remote beaches Aus has to offer. Stacey holds a Bachelor in Business from Southern Cross University, and enjoys all things marketing and sponsorship. She has previous experience working in roles with the Newcastle Jets, Football Federation Australia, and Surfest. Stacey loves the instant calming effect of the ocean and the awesome feeling of that first dive under the waves! She also spends an embarrassing amount of her spare time looking at Golden Retrievers on Instagram. If you’d like to explore the idea of joining the WOW team we’d love to hear from you.